Lakaz Chamarel - an exclusive lodge - is a unique 'boutique' hotel in Mauritius, but with the service of a small 5-star hotel. Set some 400 metres up in the mountains of Chamarel in the south-west of the island, it is just 15 minutes from the beautiful beaches of Le Morne. This is the perfect place to enjoy your Mauritius honeymoon in complete luxury. Set in spectacular gardens and offering a choice of individual rooms as well as larger suites with private pool, combined with friendly, personal service. Why not combine Lakaz with a stay at a coastal resort and make a fabulous twin-centre Mauritius holiday. 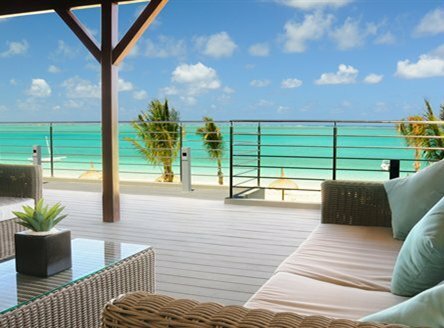 Just2Mauritius features several hand-picked luxury apartments in Mauritius, perfect if you are seeking an alternative to the larger resorts or seeking a little more independence. Our boutique apartment complexes are all located beachside and sizes vary with some sleeping up to 8 people, making them perfect for most groups. Apartment facilities are simply amazing! As well as spacious, contemporary-designed interiors, amenities include daily housekeeping and laundry 3 times a week. But, perhaps the best thing is the price... a 7-night Mauritius holiday in a Premium Apartment, based on 4 sharing, starts from around £1100 per person, including flights and transfers! Located at Tamarin on the west coast, with views towards Le Morne mountain, this complex offers twelve beautifully appointed 3-bedroom apartments & two Penthouses – equipped with excellent amenities. 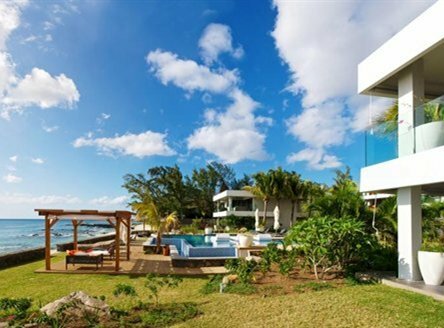 Located on the southeast coast at Pointe d'Esny Beach, Paradise Beach is a fabulous new boutique apartment complex offering contemporary chic accommodation, great facilities and superb views. Mauritius has a perfect year-round sub-tropical climate with two distinct seasons: summer, from November to April, sees blue skies and the best temperatures, averaging around 30°C; between May and October - the Mauritian winter - temperatures are a little cooler, but still with excellent hours of daily sunshine. See our Mauritius weather guide for more detailed information.